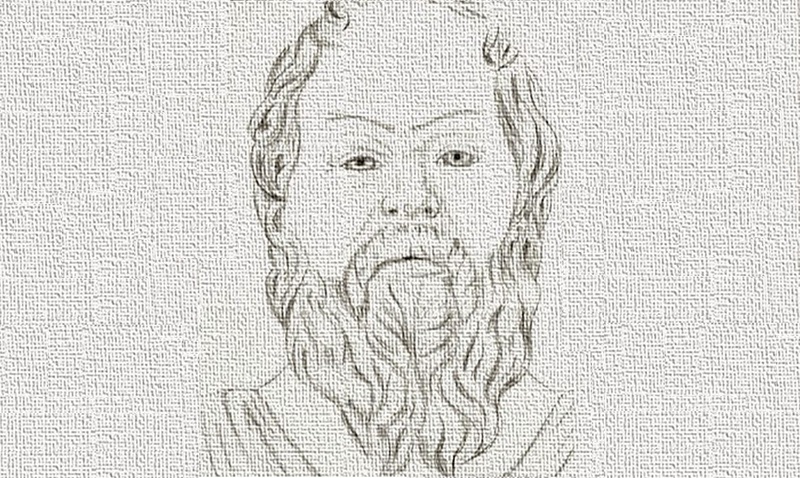 The classical Greek philosopher, Socrates, is credited as one of the founders of philosophy in the Western world. He left a profound influence on ancient and modern philosophy through his way of life, character, and thought. A commoner by birth, he was despised by the aristocratic ancient Greece. He was widely recognized, yet lived a life of controversy for the mere fact that he was found to be a misfit, a person who acted strangely. Despite all this, no one can deny his wisdom, which made others seek for him. Because he didn’t establish any school nor had put his philosophy into writings, Socrates believed he knew nothing. But this did not stop him from being recognized by the Oracle at Delphi as the wisest man alive. Below are the 10 best teachings of Socrates, in our opinion. It’s interesting how these quotes from 400 BC are still something the world needs to understand today. Not just that, but it seems like these quotes were meant for the world today, like nothing has changed! Instead of fighting for borders we need to accept all of us as citizens of the world. We are all humans and we are all on the same boat. It doesn’t matter who has a bigger room if fighting for that room will sink the boat. Learning how the world functions, exploring new things and acquiring knowledge is beneficial to all of us. That’s how humanity upgrades its consciousness and evolves. Your knowledge will be used by your descendants and future generations to build upon. Sometimes the question itself is more important than the answer. The question is the direction you open your mind towards to think for an answer. We don’t need better answers, perhaps, we need better questions. The education of the world intends to fill children’s minds with information, not to awaken the fire of curiosity inside their hearts. It intends to create a generation of conformists, not individuals who will question reality and all the preconceived versions of the truth. The beginning of free will is knowing yourself. Diving deep into your own psyche and taking a glimpse of your own shadows. By getting to know yourself more you are gaining a bigger freedom over your own choices. By facing your own shadows you are healing the darkness of your own heart, the darkness each person in the world has. By uniting your light and your darkness you are transcending the cycle of “Good and Evil”. That’s the greatest contribution anyone can make to the world! It’s a song that you compose, a dance you dance, a play you play. There is no destination, no place we need to arrive at. It’s just you, your curiosity and what you decide to be the meaning of your life. If anything, life is about examining, experimenting and exploring. By acquiring knowledge you have bigger awareness. By knowing yourself you are able to face your shadows. By being awakened you can make your own choices that are not clouded by anything. Ignorance is the birthplace of all monsters. Introduce fear to it and you have hate. Introduce hate to it and you have a monster to fight. Having a monster to fight, you’ll project it upon the world and make it alive by taking actions against it. We are all fighting our own demons. We are all traumatized and hurt. We all have oceans of emotions for different reasons, emotions we need to face and embrace. The last thing we need is our own judgment. We can at least be supportive and kind to each other because we are all in this together. The faster we heal ourselves the better the world will be for all of us.